The Stilettos are an Australian based vocal harmony trio inspired by the music, look and feel of girl groups from the 30s, 40s, 50s and 60s. Whether you are seeking relaxed pre-dinner cocktail music, or themed entertainment to set the tone of your event, The Stilettos will deliver a superb performance with vintage flair! The themed show is what we’re famous for. 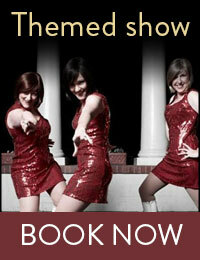 It’s a 20, 30 or 40 minute show featuring choreography, costumes and charisma as part of your event.  Choose from our range of specific event themes including Andrews Sisters, Great Gatsby/Flapper, Gangster/Speakeasy, Jazz/Swing, Silver Soiree, or if you can’t decide we can do decade themes from the 30s/40s and 50s/60s or just something ‘vintage/retro’. And of course we can also add a Christmas flavour when the season comes around. With costumes, dancing and interactive audience participation, a Stilettos show is not to be missed! Our cocktail set provides atmosphere and allows our vocal harmonies to shine without detracting from your main event. The show contains two 45-minute sets of easy listening cocktail repertoire for background ambience and we’ll wear simple cocktail dresses (without any costumes or wigs). The cocktail set is a perfect backdrop for corporate events, awards dinners, parties and weddings. Flexibility is one of our hallmarks of the Stilettos - we can tailor our performances to suit your requirements. We can provide our own sound production or use your on-site facilities, or perhaps you’d like to keep the night going after the Stilettos’ performance with our own DJ entertainment. Whatever your requirements, The Stilettos will help make your event a unique and memorable experience. The Stilettos offer a professional act that caters to both the corporate and private sector. 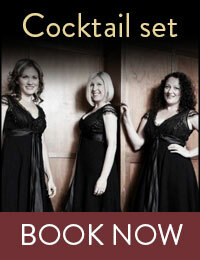 The trio showcases the perfect blend of vocal tone, personality, experience, and professionalism whatever the occasion. This all female vocal trio is fun, energetic, visually appealing, and highly polished. The combination of three extremely talented and committed individuals ensures that you can relax and enjoy your event. The Stilettos have an impressive repertoire that is sure to appeal to a wide audience and keep all age groups thoroughly entertained. Their song selection ranges from The Andrew Sisters to Aretha Franklin, from Jackson Five to the Supremes, from Jazz and Swing right through to popular hits from a range of eras.